As we ring in the New Year, it’s time to start thinking about how to attract a qualified and diverse workforce in 2012. HR and Recruiting Professionals know that in today’s global workplace and environment, being able to communicate to people of different races, cultures, economic classes, and backgrounds is critical to ongoing innovation and marketplace acceptance. Talent acquisition can and should play a key role in driving corporate diversity. In addition to thinking about hiring from diverse candidate pools, employers should also be thinking about employing our returning service members into meaningful jobs. Review your recruiting metrics for 2011. Where did the majority of your diverse candidates come from? Make sure you include your diversity initiatives in the recruiting metrics that you establish for your team. But also, closely examine the source of hire and recruiter activity that led to great diversity hires. Direct more attention to the metrics that worked – both for recruiter activities and job boards/referral sources. Revamp your employment brand/messaging: Make sure you review all of your job placements and employer branding messages to ensure they match your recruiting goals for 2012. Update materials with new corporate messaging or strategic leadership goals. Ensure that your true company culture is reflected in your job posts and career site, and that all of your messaging drives and motivates the people that you want to apply and talent that you want to attract. Seek out local agencies that specialize in placing women and minorities. Schedule a meeting with the local sales representative and start a relationship with them even if you don’t have need to use their services now, start the relationship so that when the time is right they can start recruiting quickly for you. As part of this effort, you might also look at minority and women suppliers for your staffing efforts. These firms may not particularly have any stronger ties than those that are not, but it’s worth the effort to find out if they do. Check out a few new job sites that specialize in diversity recruiting and post a few job ads to test the quality. You may find that specialized sites and resources like WorkplaceDiversity.com deliver a different set of applicants than the major job boards. The key here is testing – if specialized job boards don’t deliver a different candidate group, don’t spend extra money on them. Take a look at well-respected companies who excel at diversity recruiting. Two examples are Enterprise Rent a Car and JP Morgan Chase. A common theme for both companies is that they have executive leadership involved in communicating their diversity hiring goals. They clearly show a correlation between successful diversity hiring and achieving business goals. They understand that the communities they serve are diverse and thus their employees should represent the diverse communities in which they live. Also, companies like GE have achieved notoriety for hiring US Military Veterans. They have several programs to hire service members into leadership positions and helping Vets discover the career that best suits their interests and skills. Check out what the best companies are doing and well… copy them a little. As part of any new or existing diversity initiatives, always keep in mind that your hiring managers may not have experience interviewing candidates from different backgrounds. They also may not understand the importance of diversity in the workplace as well as HR and the executive leadership team does. This would be a good time to set up diversity hiring training and encourage your HR business partners to “dust off” diversity training. Of course, a culture of diversity is much more than just hiring from a diverse candidate pool. If you hire great talent into an organization that doesn’t promote diversity in other ways, not only will your hard work be wasted, but your company’s reputation will be in jeopardy. 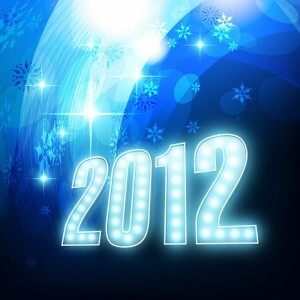 Good luck out there – here’s to your success in 2012!